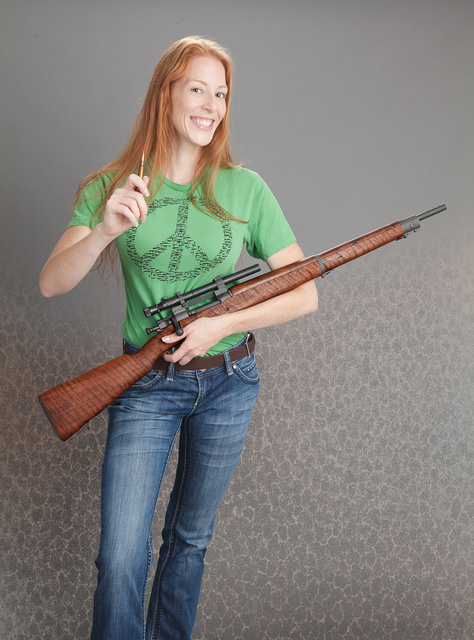 This Springfield 30-06 bolt action traces its origins to the 1890s. Today’s deer rifles are not much different from what was the premier US sniper rifle in WW1 and WW2. Will your hunting rifle become a prohibited “weapon of war” because of the mechanical similarity? They mean to eliminate almost every firearm, pole arm, ranged and edged weapon out there, since all of them had at one time been used in warfare. For example, a typical hunting bolt action is derived from the 1898 Mauser rifle, and a typical handgun is very similar to what World War One troops carried. 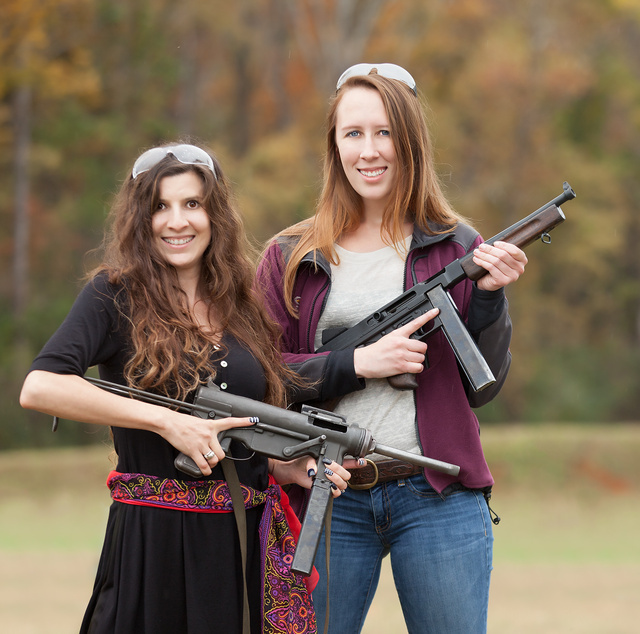 Are you OK with being denied ownership or access to every rifle, shotgun, musket, arquebus, crossbow, bow, sling and atl-atl ever fielded by an army? They wish to restrict only current weapons or war. So obsolete designs, like the 1895 Colt machine gun should fine by them. Yeah, right! They would be no more OK with the 1918 Bergmann submachine gun than with 1915 grenades or 1896 Mauser pistol with a shoulder stock. The variety of obsolete arms is tremendous, and none of them look sufficiently dated to the anti-individual politicians. The current efforts of Australian prohibitionists to ban lever action smoothbores is a testament to that. M1 and M3 submachine guns, two long-obsolete weapons from the early 1940s. Would gun control pushers allow you to keep them? There’s also that little issue of enforcement. In the end, gun control is accomplished by using weapons of war in the streets to murder anyone who tries to resist. That’s how British troops enforced gun control Palestine, by imposing death penalty for unauthorized arms or ammo possession from 1937, with the predictable escalation from all sides. That’s how Nazi and Communist troops enforced it on conquered territories everywhere. The foes of individual freedom aren’t creative. To achieve their ends, they will use the same tools they claim to disdain against any opposition. And, ever the believers in collective responsibility, they will use deadly force on anyone associating with their enemies through kinship or friendship. In other words, it would be enough to be a relative of the enemy of the state or a casual social connection to get imprisoned or murdered. That’s how Pol Pot’s regime wiped out a quarter of Cambodia’s population over mere four years. In other cases, they might pretend to believe in gun control but actually use their political influence to facilitate smuggling of weapons for profit while cracking down on legal competitors. Others use draconian restriction to extort bribes for permits. Both arbitrary enforcement and increasing the vulnerability of the population to predation by government agents as well as by other types of criminals serve to cultivate learned helplessness, a mark of co-dependent or at least politically passive people. A typical example of that are the residents of Detroit and Memphis, who continue to re-elect leftist city administrators despite extreme mismanagement. This entry was posted in pistol, rifle, rkba, self-defense, Uncategorized, weapon and tagged 45ACP, history, military, submachine gun, war, WW2. Bookmark the permalink. If they push too far to “take these weapons off the streets”, they will eventually see them used to “vote from the rooftops” instead. Yes well.. You cannot fore armed people into cattle cars, and free armed people never submit to dictatorship if armed. Bravo, Oleg! Well and eloquently said. 2) Gun control is the pablum of people with violent fantasies. 3) Researching gun control and the promises of it’s adherents have made me realize that their credibility rivals that of Big Foot sightings and UFO abductees. #2 is painfully real. A fair number of gun controllers seem to think that their fantasy is needed because people will “suddenly go crazy and start killing people”. http://bearingarms.com/stabbed-head-gun-control-supporters-dont-trust-guns/ is an example. Not only the article, but the comment by Martin Fischer (you may need to click on “load 10 more comments” to see it): http://bearingarms.com/stabbed-head-gun-control-supporters-dont-trust-guns/?fb_comment_id=708974572523462_709012529186333#f696ec00 . Oh, the M3A1, be still my heart. My favorite gun of my Army days. Cheap, inaccurate, hard to shoot well, but so much fun on the range. If they were legal, I’d have several. They cost only a few dollars to make. That’s a good looking piece of wood on that 03, if I do say so. To think some anti-freedom politician, would be so-threatened by a slender redhead, as to call her a “weapon of war”. What’s this nation become? Sure, let’s start out with our militarized police forces riding around in MRAPs and toting M4s with standard/high capacity magazines and body armor. If they are equipped and look like jack-booted thugs, a few of them will adopt that mind-set. If the police can have fancy stuff while they are fellow civilians (i.e. they are not in the military) then I should be able to own everything they possess (i.e. no carve outs or exemptions or special policies for the police). 1. No person holding any office under the United States, or any of them, may keep or bear any arms except those that may be borne both in his place of residence and in the location of his office by all law abiding competent adult citizens. That’s some nice lookin’ M3. I’ve always wanted one of my own. Shoot it? Heck no, I can’t afford that much ammunition!